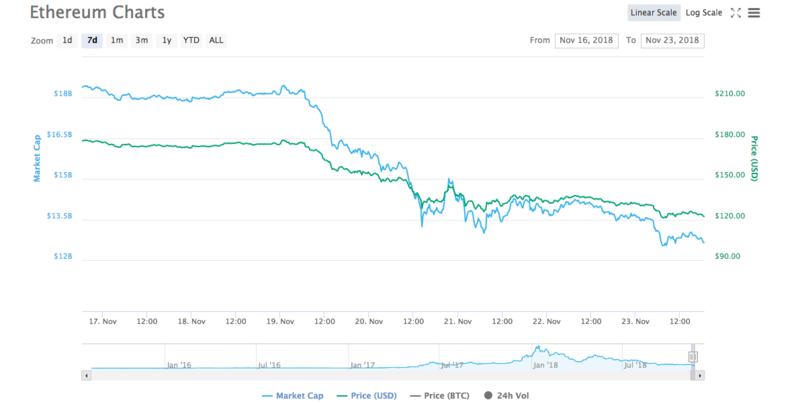 The cryptocurrency market has been bleeding continuously for the past few weeks. The market is showing no signs of recovery from all the wounds caused by the bear. Moreover, it has also broken past all its major supports. Some of top cryptocurrencies are currently trading at the same level as they were in early 2017, marking this as the lowest point. This includes Bitcoin [BTC], Ethereum [ETH], XRP, Litecoin [LTC], Cardano [ADA], Stellar Lumens [XLM], Tron [TRX], and Monero [XMR]. Bitcoin [BTC], the ruler of the cryptocurrency market, is speculated to be the main coin that started the bloodbath in the market. It is believed that the main catalyst for the coin to sink is its connection to Bitcoin Cash hash wars. 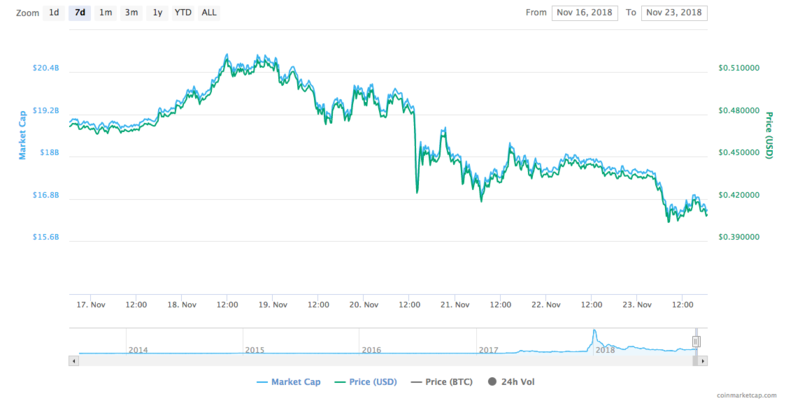 Prior to the hard fork, the coin plunged to an extent wherein it breached the $6000 mark, breaking the investors sentiments. However, the rampage did not stop there as the coin went ahead to breach the $5000 level. Now, majority of the speculators believe that the coin is going to soon break the $4000 mark. Additionally, Tone Vays, a Bitcoin proponent believes that the coin will plunge to $1500 and the bear is going to rule the market until summer of 2019. According to CoinMarketCap, at press time, Bitcoin is trading at $4312.95 with a market cap of $75 billion. The cryptocurrency has a trading volume of $5.01 billion and plunged by 22.94% in the past seven days. XRP, the second-biggest cryptocurrency by market cap, has also become a victim to the bear’s assault. Nonetheless, the coin has been doing much better than all the other cryptocurrencies. It managed to take a strong hold of the second position by defeating Ethereum [ETH]. XRP is trading at $0.40 with a market cap of $16.51 billion. The coin has a trading volume of $713.53 million and has dived in the red sea by 13.16%, in the past seven days. Ethereum [ETH], the third-biggest cryptocurrency by market cap, has been the most affected by the bear’s attack. The coin is currently trading at its May 2017 value. Moreover, it has also lost a huge chunk of its market cap. The coin which was first subjected to the ICOs abuse, is now drowning in the market by more than 7% in the past 24 hours. Ethereum is trading at $122.12 with a market cap of $12.62 billion. The coin has a trading volume of $1.98 billion and has plunged by 31.43%. US Recession by 2020 Has 60% Chance, is Crypto an Alternative?